Instead of writing, Don and I spent the afternoon decorating for Christmas. It reminded me of one of the (many) reasons I love my husband. Don’s sentimental and traditional, and he loves getting out the Christmas decorations each year. Of course, ever since we got the pre-lit artificial tree, it makes it easier for him to love. We both miss a live tree, especially the scent of pine. But it’s dry in Arizona, and live trees don’t fare well here. The risk of a fire simply isn’t worth it to me. I’m determined to slow down and enjoy the Christmas season. Seems like it comes quickly each year, while I’m engrossed with other matters of life, and it slips by with minimal fanfare. Last year, I was dealing with a breast cancer diagnosis and surgery in early December. Hardly the stuff to get one in the Christmas spirit. This year I’m feeling pretty good, and I intend to savor the season. It’s also the perfect time to read The Ghost Who Came for Christmas–but if you haven’t yet read books 1 through 5 in the Haunting Danielle series, you might want to do that first. While each book in the series is a standalone story, they are told in chronological order, and I believe readers enjoy the books more if read in order. 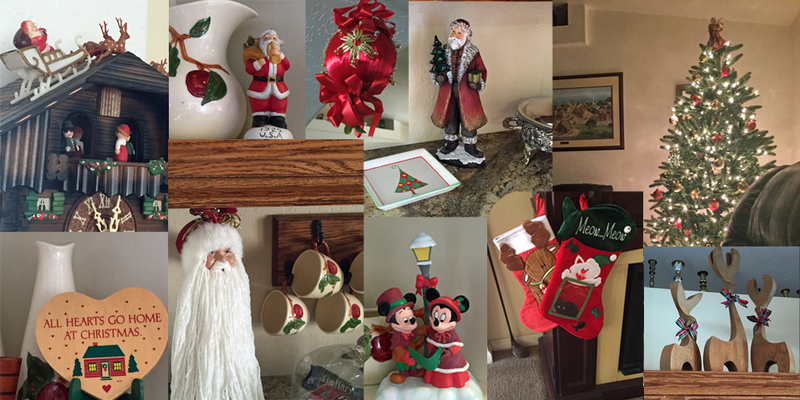 Tagged: Christmas decoration, christmas ghost, Christmas in Arizona.